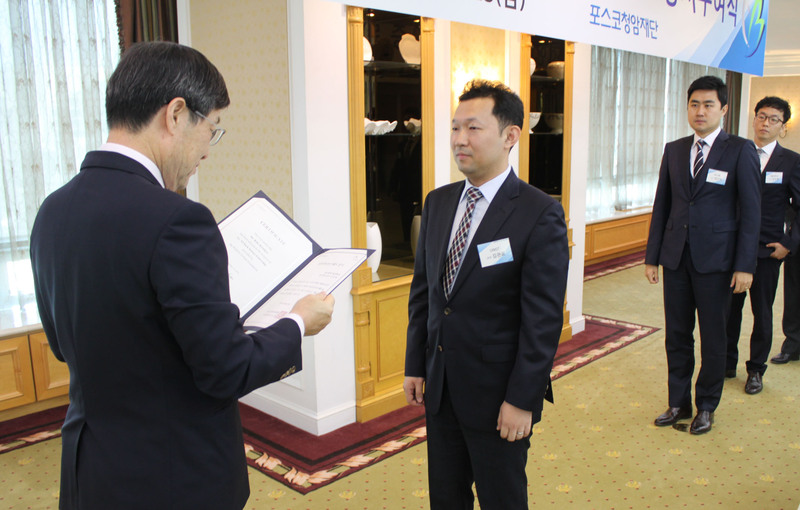 Prof. Jung-Min Kee, Prof. Kyudong Choi, and Prof. Kwanpyo Kim are the recipients of the Chung-Am (TJ Park) Science Fellowship. 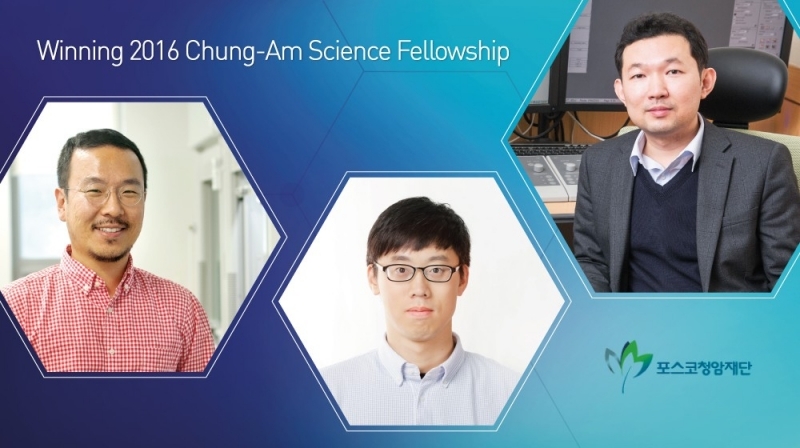 Prof. Jung-Min Kee, Prof. Kyudong Choi, and Prof. Kwanpyo Kim are the recipients of the 8th Chung-Am (TJ Park) Science Fellowship. Recognizing potential groundbreaking researchers in their respective fields. Three UNIST professors have been selected to receive 2016 Cheong-Am (TJ Park) Science Fellowship from the POSCO TJ Park Foundation. 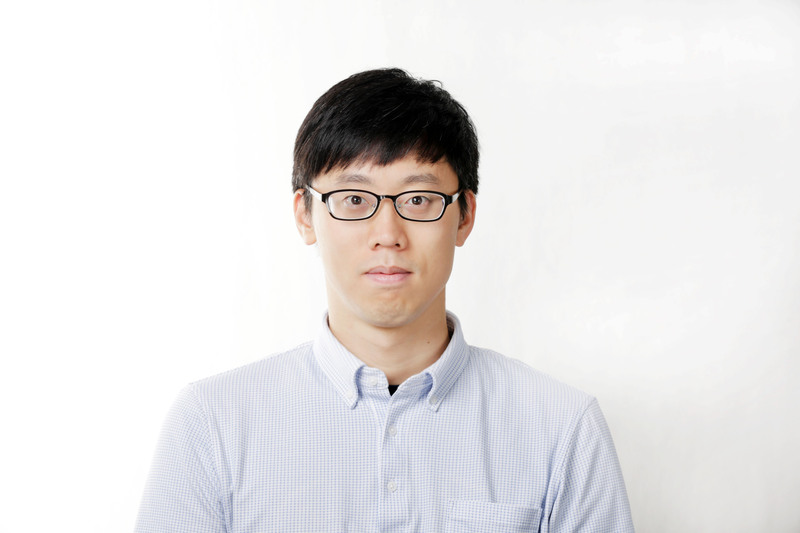 Kwanpyo Kim, Jung-Min Kee, and Kyudong Choi are among 31 early career scientists and researchers from 12 organizations and universities chosen for a two-year fellowship. The TJ Park Science Fellowship, now in its eighth year, selects and supports young scientists, including PhD students, postdoctoral researchers, and new professors who study and research basic science in a university or institution in Korea, not abroad, so that they can focus on their research in Korea with stability and a sense of pride, and grow into world-class scientists. In keeping with its goal of recognizing potential groundbreaking researchers in their respective fields, this year’s TJ Park Science Fellowship program awards fellows KRW 70 million to pursue their choice of research topics and allows them flexibility in applying funds toward their research. Ultimately, the program works to foster and secure excellent researchers. The recipients of the 2016 TJ Park Science Fellowship pose for a photo, including Prof. Kim (first row, 4th from right), Prof. Kee (first row, 4th from left), and Prof. Choi (last row, 3rd from left). Kwanpyo Kim, a professor of Physics, studies the synthesis and various property characterizations of nano materials, especially emerging 2D materials beyond graphene. The fellowship will allow him to work on his latest project, entitled “Thin-film growth and control of electromechanical properties of black phosphorus”. 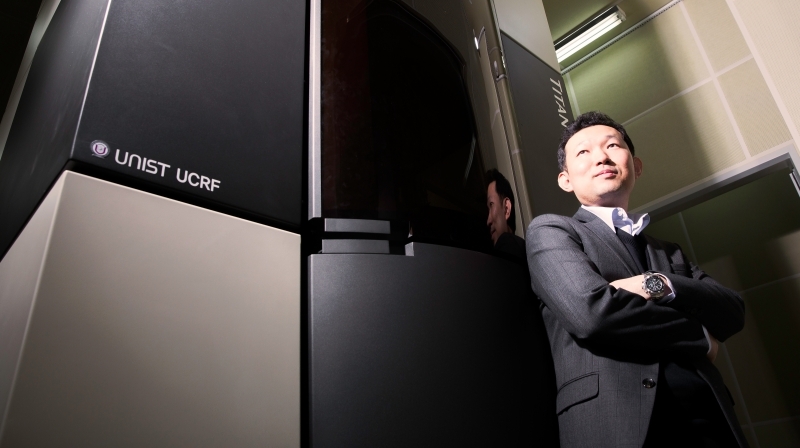 “It is a great honor for me to be recognized by the POSCO TJ Park Foundation for the 2D material research I am doing at UNIST,” says Prof. Kim. “Such recognition is a great stimulus for me and our group to continue our research and to advance it further. 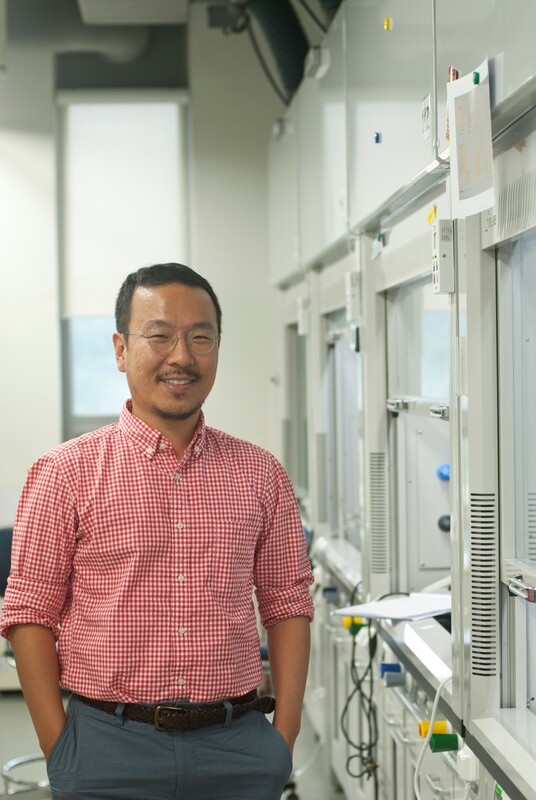 Jung-Min Kee, a professor of Chemistry, investigates the complex biological systems at the molecular level using tools of synthetic chemistry. The fellowship has been awarded to Prof. Kee for his plans to develop new molecular tools for studying protein post-translational modifications (PTMs). Kyudong Choi, a professor of Mathematical Sciences, explores the mathematical analysis of partial differential equations (PDEs) in fluid dynamics and related equations. 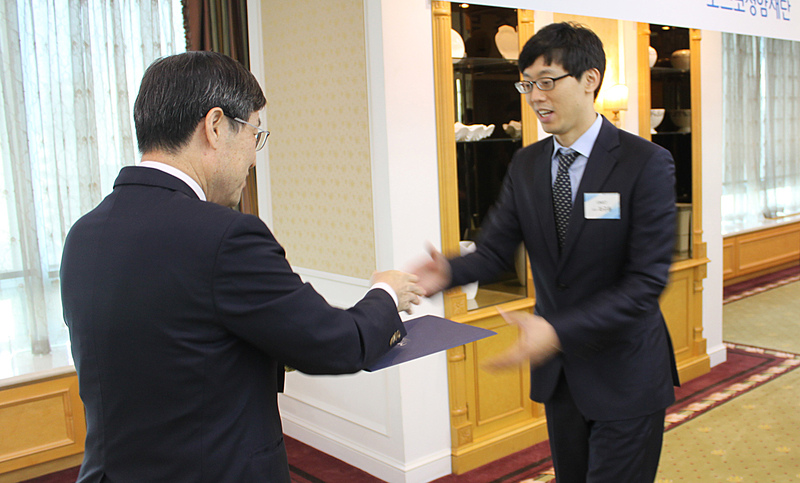 The fellowship has been awarded to Prof. Choi for his latest project, entitled “Singularities in fluid motions”. The award ceremony for this year’s fellowship was held at the POSCO Center, Pohang, South Korea on September 23, 2016. The event was attended by a total of 65 people, including 31 recipients of the 8th fellowship, 18 of the former fellows, 12 selection board members, and executive directors of the Foundation. 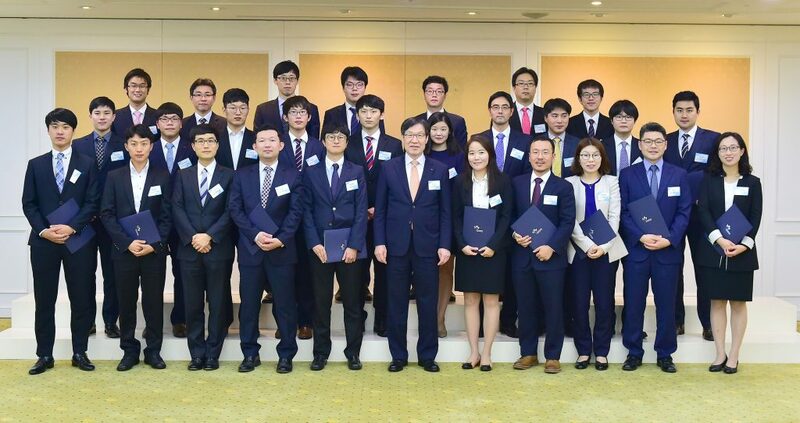 For reference, four faculty members from POSTECH, three form KAIST, and three from the University of Seoul have been named winners of the 2016 TJ Park Science Fellowship.